The 2nd Annual Laguna del Lagarto Eco-Lodge Nature Photography Tournament is a fundraising and conservation event created by Images for Conservation Fund and the Laguna del Lagarto Eco-Lodge to communicate the great diversity and majesty of wildlife living on the 665 acres of virgin tropical rainforest in Northern Costa Rica. The Tournament is open to all photographers who would like to participate knowing that their images and fees will be used to help preserve one of the most biodiverse tracts of habitat in Costa Rica. Conservation efforts will be made through native habitat restoration and environmental education through youth photography workshops in the Lagarto Eco-Lodge area. The Tournament will begin on November 1, 2018 and end at midnight on May 31, 2019. The Tournament is open to all photographers (both professional and amateur) who visit the Laguna del Lagarto Eco-Lodge anytime during the Tournament Period (November 1, 2018 thru May 31, 2019). All images submitted to the Tournament must have been taken on the Laguna del Lagarto Eco-Lodge Property during the official Tournament Period. Photographers may enter as many images as they like at a cost of $10 per image. 2. 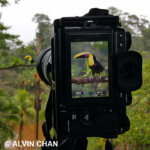 Photographers may submit images, via www.imagesforconservation.org , any time during the Tournament, but no later than midnight, June 20, 2019. All images submitted to the tournament must include metadata that has the date and time of image capture. [Remember to ensure that your camera’s date and time is current and accurate prior to your arrival at the Lagarto Eco-Lodge.] This will allow the judges to ensure the images were taken during the official Tournament period. Images without proper metadata may be disqualified. Rarest or Most Unusual Image – The “rarest” or “most unusual sighting or behavior” captured during the Tournament. One overall winning image will be selected for this category from all Main Divisions Tournament entries and the photographer will receive a $100 cash prize. No additional entry fee is required for this category. Best Cell Phone Image – Best Cell Phone image taken at the Lagarto Eco-Lodge. Judges will select one overall winning image in this category and photographer will receive a $50 cash prize. Each participant can purchase a group(s) of 5 cell phone images for $10. Note images from this category will NOT be considered for Main Division or Rarest Image prizes. Image Processing: Color images only. No digital composites, or black and white conversions, or panoramic composite photos are allowed. Digital manipulation is only acceptable if limited to cleaning (dust spots), levels, curves, color, saturation and contrast work. Compositing and multiple exposures are not allowed. As part of this event is creating (and documenting) a visual inventory of the biodiversity of Lagarto Eco-Lodge, all images should accurately reflect the subject matter or scene as it appeared. -And/Or a group(s) of 15 images at a reduced cost of $125. Important Note: To compete for the Grand Prize – Laguna del Lagarto Eco-Lodge Nature Photographer of the Year a photographer must submit a portfolio of at least 15 images. All images submitted for judging must be received through the ICF website. All images submitted to the Tournament must have been taken on the Laguna del Lagarto Eco-Lodge Property during the official tournament period (November 1, 2018 thru May 31, 2019). The Lagarto Eco-Lodge Property includes: Lagarto Eco-Lodge grounds, rainforest and lagoon areas, the frontage road, all photo blinds, Aldolfo’s Garden and Henry’s Garden. Any ruling by Tournament officials on what constitutes Lagarto Eco-Lodge Property will be final. You may submit images any time during the Tournament, but no later than midnight, June 20, 2019. Fundraising for native habitat restoration and reforestation at the Laguna del Lagarto Eco-Lodge and surrounding areas. 25% will be paid out in prizes. 25% will go toward conservation efforts in the Laguna del Lagarto Eco-Lodge area. 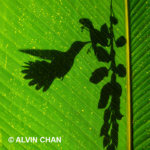 Grand Prize Winner: The Laguna del Lagarto Eco-Lodge Nature Photographer of the Year. 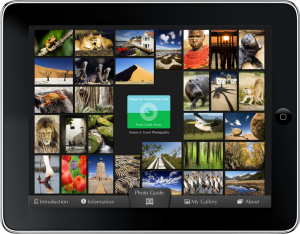 The Grand Prize winner will be determined based on the best total score for a given portfolio of 15 images or more. For portfolios over 15 images, the portfolio’s score will be calculated based on each photographer’s highest scoring 15 images. First, Second & Third Place Winners will also be awarded in each of the 5 Main Divisions based on the highest scoring individual images per category. If there is a tie, prize money will be divided equally among the participants with the same final scores. (One) Grand Prize: Laguna del Lagarto Eco-Lodge Nature Photographer of the Year will receive $1,000 AND a free 3-night stay at Laguna del Lagarto Eco-Lodge (for two, double occupancy) including meals and photo settings. Does not include airfare, transportation to Eco-Lodge, beverages, tips, or other incidentals. Dates subject to availability. Selected winning images will be featured in a gallery on the Images for Conservation Fund website and in various social media outlets. An exhibition of winning images will also be planned in Costa Rica (location TBD) and at the Laguna del Lagarto Eco-Lodge. Each photographer who stayed at the Laguna del Lagarto Eco-Lodge during the Tournament Period may submit up to two images per month (free) in the Monthly Winner Competition. Winners will be announced for each month that more than two participants have submitted images. 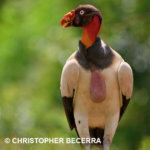 One winning image will be selected each month and the winner will receive a prize from our Sponsors (TBD). The winning images will also be shared through various social media outlets. Important Note: Entering an image in the Monthly Winner Competition does NOT enter your image in the main Tournament. This is a totally separate contest. If you want to include your Monthly Winner submissions in the main Tournament you will have to re-submit with your final Tournament portfolio.